Since 1974, the Volkswagen Golf has been an icon of sporty style and affordable practicality. The 2018 Volkswagen Golf carries on that tradition. It's one of the best value cars on the road today! It's nimble and quick, feature-packed and comfortable with enough room for you, your friends and all their stuff. New for this year, a chrome-trimmed front grille and updated LED lighting makes the new VW Golf one of the most desirable cars we've ever offered. See below how it compares to the 2018 Honda Civic Hatchback. 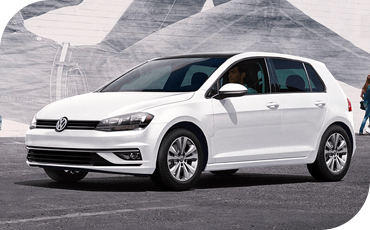 Even this popular new model is no match for the timeless Volkswagen Golf. We'll prove it to you by comparing them both head-to-head in five important areas. It hardly matters how sporty your car looks or feels if you can't assume a comfortable driving position — which is why every 2018 VW Golf comes with six-way power adjusting front seats totally standard. By contrast, the base 2018 Honda Civic Hatchback provides manual, four-way adjustable seats which lack lumbar adjustment. In the back row, you'll find the 2018 Volkswagen Golf provides dedicated HVAC vents for the rear passengers. In the 2018 Honda Civic Hatch, rear seat passengers will just have to wait for relief from the front seat vents. 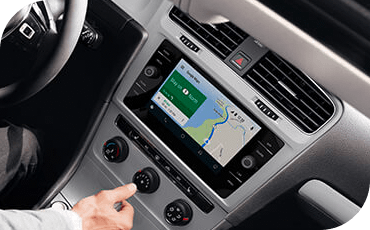 Upgraded for 2018, the Volkswagen Golf now features a standard 6.5" touchscreen infotainment display, complete with standard Android Auto™ and Apple CarPlay™ connectivity. Connecting your phone to access your favorite apps and stream audio through the stereo has never been easier! And in the base 2018 Honda Civic Hatchback, you'll find just a 5" button-operated display that lacks Apple CarPlay™ and Android Auto™. To get those features, you'll have to upgrade to a premium trim level. With similar engine power and zero-to-sixty times, both these cars provide a spirited driving experience — but the Volkswagen Golf is unmatched in this segment for a fun, nimble drive. According to tests performed by Car and Driver magazine, the 2018 Honda Civic Hatchback will take 8.5 seconds to move from 50-70 MPH. You'll enjoy merging onto the freeway and carving up curvy back roads more in the 2018 VW Golf, which moves from 50-70 MPH in just 5.2 seconds. It's all because of superior engine torque. 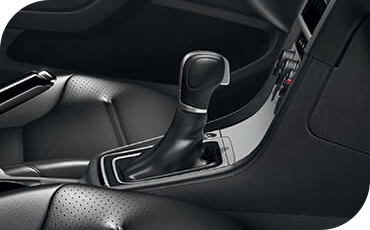 Opt for the automatic transmission and you'll get 199 lb/ft of torque from the 2018 VW Golf. That's compared to a maximum output of 177 lb/ft of torque from the 2018 Honda Civic Hatchback. Both these cars are remarkably safe during a crash, as their five-star government crash test safety ratings prove. However, not every crash brings every car to a stop. 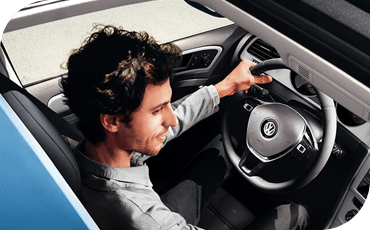 That's why Volkswagen provides the Intelligent Crash Response System as a standard feature. This exclusive system can detect a crash and, if it does, will deactivate the fuel pump, engage the brakes and activate the hazard lights. Even after a crash has already happened, the 2018 VW Golf keeps working to protect you. With an advanced suite of driver assist features, the 2018 VW Golf is smart enough to monitor the traffic around you, alert you to dangers, and even intervene to help avoid an accident. Some driver assist features are available on the 2018 Honda Civic Hatchback, too — but it lacks a blind spot monitor, rear cross-traffic alert and parking assist. 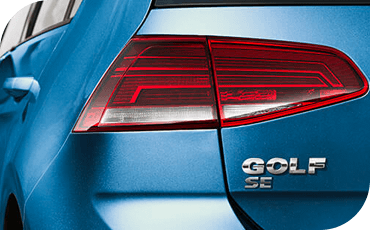 You can find all of those features plus pre-collision braking, adaptive cruise control and even more on the 2018 Volkswagen Golf SE.